Faith, to me at least, seems like something between expressive and receptive aphasia. It lingers between our experience of God and our desire to transfer that experience. In this between, we find communication difficult, if not impossible. Obviously, since the word God is “by its nature the name of mystery,” as G. K. Chesterton once noted, it is not all that surprising we have this trouble. It’s sometimes said the unnamable is omninamable, but what does that really mean? Does it mean God, the truly unnamable, can be a tree or a piece of moldy cake or anger or the way shadows are cast on Charlie Chaplin’s hat and moustache in the movie City Lights? 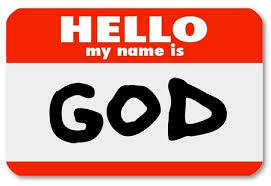 Does that mean mystery, this mystery we call God, is known by innumerable names? As Dionysius weaves his way through the strain and struggle of wrapping God up in a net of words, he nevertheless discovers more than a few ways to discern Divinity. He discovers, not the clean lines of the God of voluntarism or pure sovereignty or of the conceptions of God offered by Nietzsche and Pullman. Instead, he finds a mystery within the mystery. It is the mystery of God’s providential love. It is this same mystery which Tom Oord digs into in his The Uncontrolling Love of God—I almost wrote The Uncontrollable Love of God—which I think gets at the same thing. It’s a risky business, trying to explain the unexplainable, but Tom does a fine job of pointing out what many theologians fail to do. He points out if God is love, as he is defined in 1 John 4:8, and if this love is essentially kenotic, then God cannot in any way be aligned with evil, which is most manifest in the world as being coercive and controlling. I’m not going to recount Tom’s arguments here, but I do want to offer a brief thought on what I have experienced in reflecting on his book.